High Quality Content by WIKIPEDIA articles! 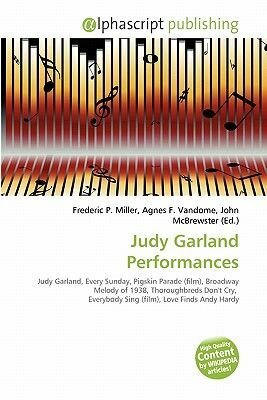 In a career that spanned more than forty years, Judy Garland performed on stages, screen and television. Garland appeared in over forty films. She was nominated for multiple Academy Awards and Golden Globe Awards, winning a Academy Juvenile Award and one Golden Globe. Her film career was interrupted in 1951 after she was cast in a series of films she was unable to complete, but she returned to the screen in 1954 in A Star is Born and continued to appear in films until 1963.